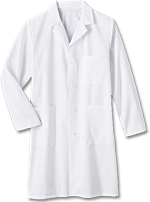 This Mr. Barco men's lab coat features 6 pockets, loose back belt, side access, and inside pockets. Length is 37". 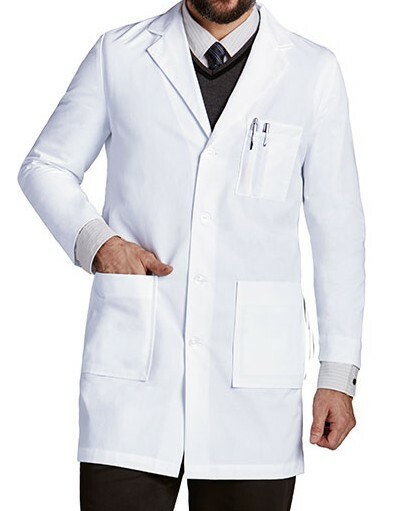 Made of 65% polyester / 35% cotton twill.